Rose tea cheesecake with a strawberry jam filled sponge base. 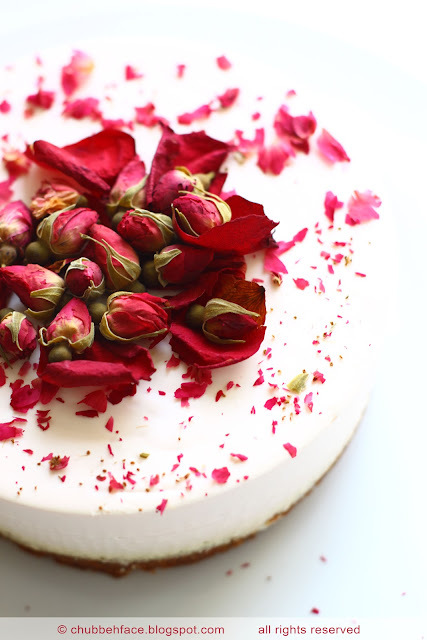 topped with dried rose petals and dried rose buds. 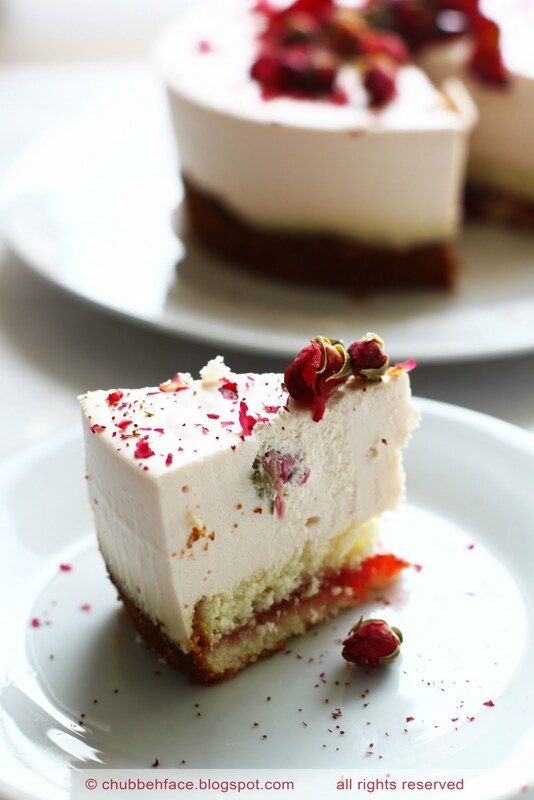 As the weather warms up, I am craving for something cool, creamy desserts and I love cheesecake! This recipe came to mind because I found some rose tea and cream chesse in the fridge. Gorgeous! How strong was the tea you used? Beutifully delicate and delicious looking, I love it!